Tonight is the home and season opener for the Kansas City Wizards at 7:30 at CAB. LOTS of changes since last year. This guy (Coach Onalfo) is no longer here. 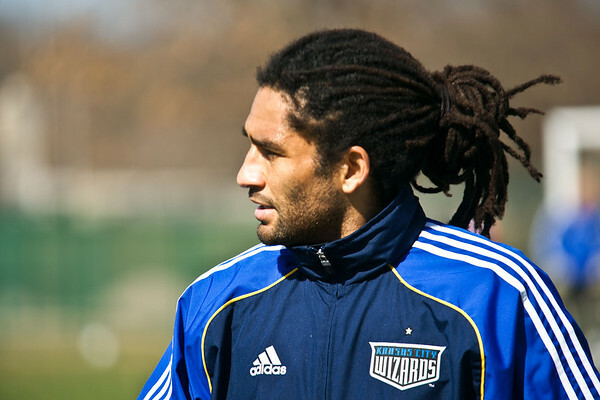 He used to be a player and coach with the bad guys in black from DC (Handball United) before he coached in Kansas City for the good guys. After some improvement, some motivation, some classic quotes ("punk", "league parity" and "exciting,attacking soccer") and weeks without scoring he was let go. He ends up back in DC with the bad guys coaching them. Mike and I did another podcast last night. We discuss the CBA, the new Wizards Captain, new players and the DC game. Still having issues with the host but if you download it from there it should work fine. Just wanted to post a few extra shots from practice. Zoltan freezes the ball with his stare? After practice on Thursday, Sunil Chhetri, Kei Kamara and Igor Kostrov played around juggling and doing tricks. Graham Zusi and Mauro Fuzetti were doing some as well but I did not get any real good video of them. Sorry guys. Go check out the web cam for the Wizards stadium construction. Teal Bunbury and Chance Myers. Think Chance is telling the rookie to bring his shades next time? 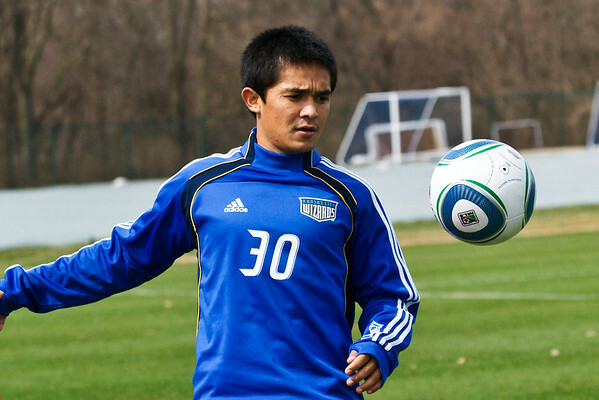 As reported last night, Sunil Chhetri is officially on the ground in Kansas City today. Wizards President and twitter informer Robb Heineman let the fans know this afternoon. It remains to be seen how quickly he will be officially signed and what roster move the Wizards will make to create room. Will they waive a player outright or is there a trade in the works? Teal and Chance waiting to be interviewed.. Talked briefly with former Wizard and new color analyst for the Wizards broadcast Sasha Victorine yesterday. 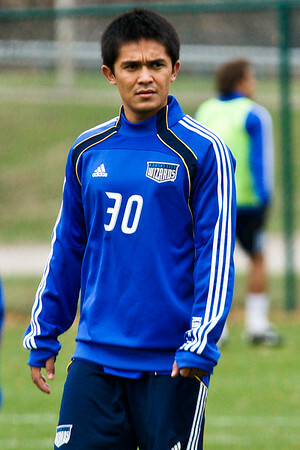 With all the rumors and speculation that Sunil Chhetri had signed with Kansas City I followed up with some sources today. Sunil is either already in Kansas City or will be soon. He is here to formally try out again but I suspect that they have already agreed to terms and his trial is a formality as long as he is still in shape. With the new roster compliance deadline approaching the Wizards have released Michael Kraus. I am told that brings Kansas City's roster into compliance for now.